Jan Wolff faces down Dean Hoogesteger after the food riot. "What began as run of the mill grumblings about Lake Forest's less than outstanding cuisine, developed during winter term into a highly organized and highly successful movement dedicated to improving the food. Protest songs and food boycotts produced a major shakeup at the Szabo Food Service Management as well as an extra steak dinner - with seconds, no less." 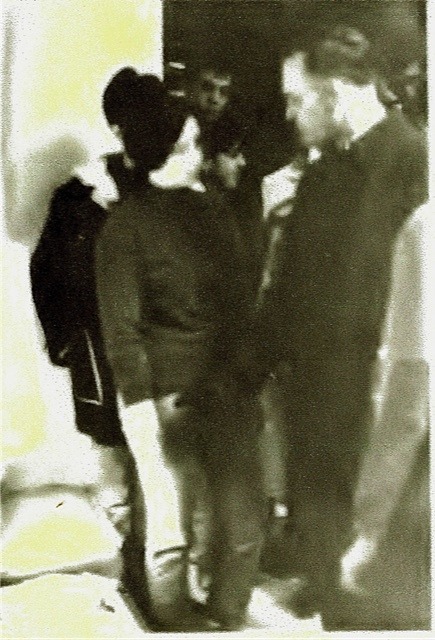 "The Administration who wisely avoid Commons at meal time was forced to examine the berated fare and in order to avoid being called upon again for such distasteful talks, aided in the establishment of a student food committee who soon gladly reported that Szabo was running decidedly in the red."